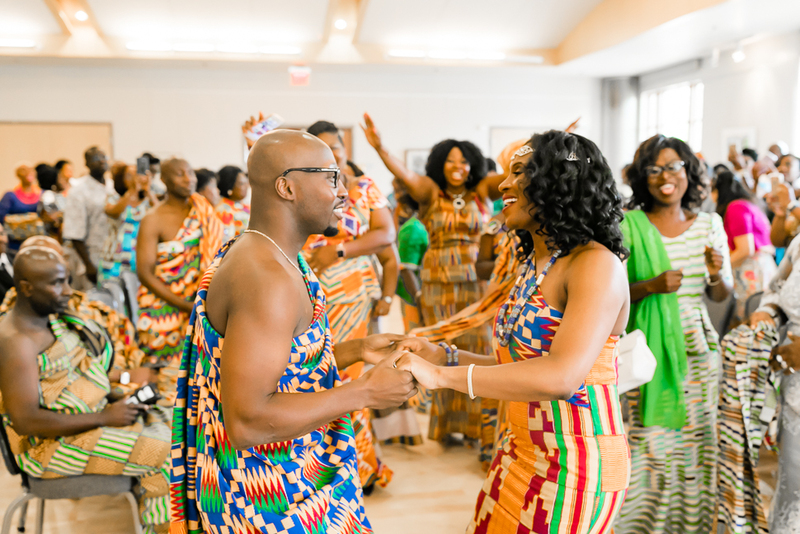 In order to get married in Ghanian culture there’s a 2 step process a knocking and then an engagement. 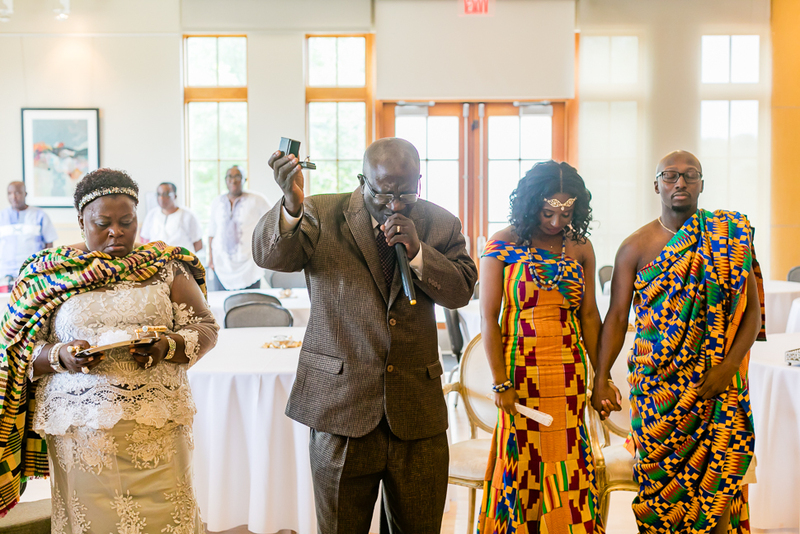 The grooms family visits the brides family to introduce themselves and states there intent for marrying their daughter. 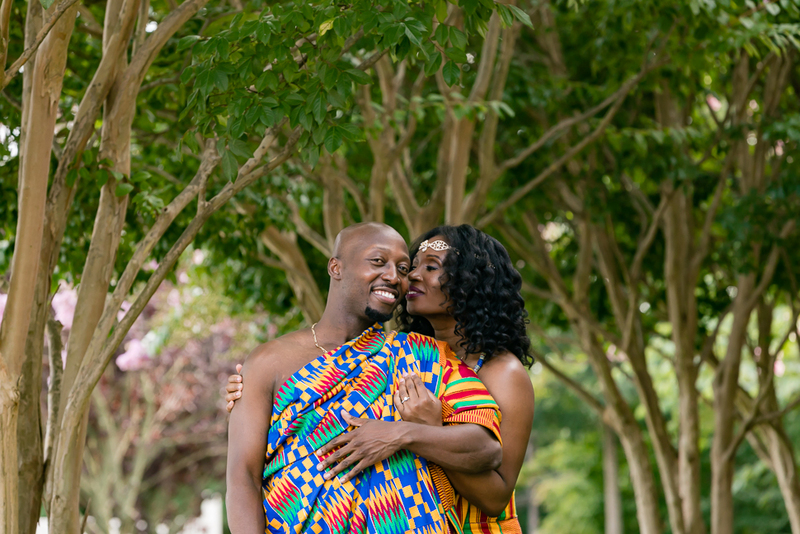 This is known as the knocking. 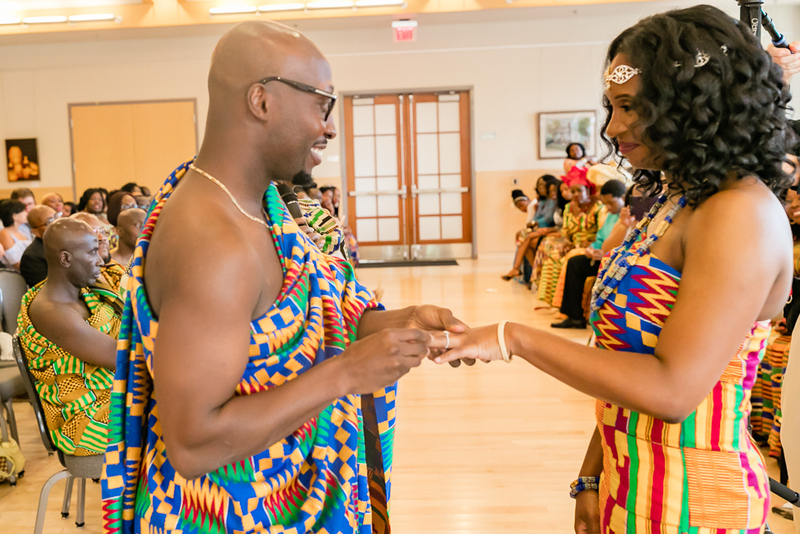 The family of the bride will then request a dowery in return for the brides hand in marriage. 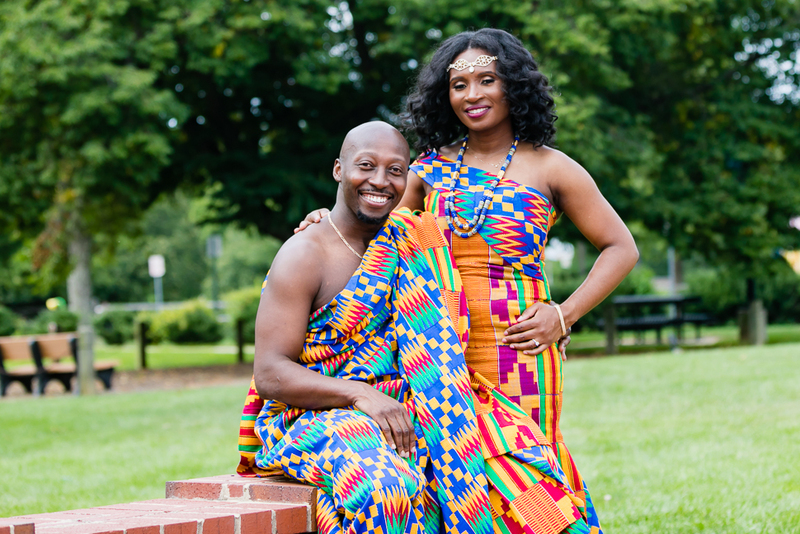 A date is then set for when the engagement will take place. 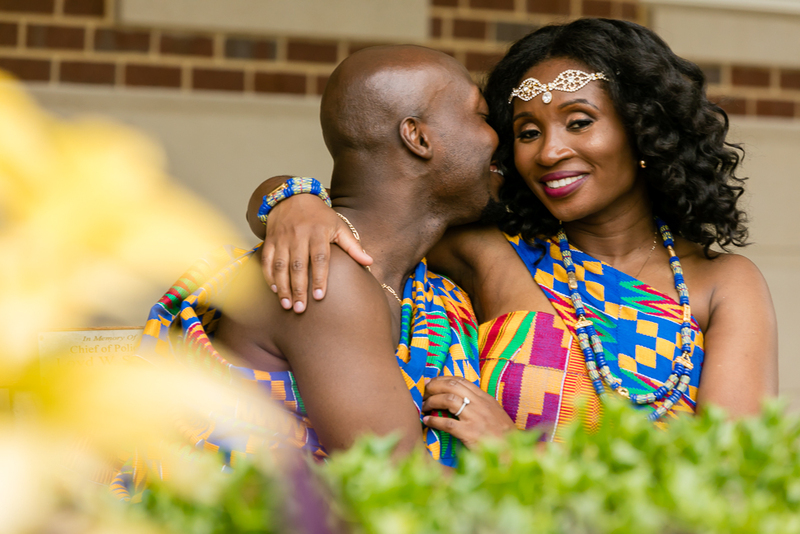 At the start of the engagement a barter or exchange occurs between the spokesmen for the bride and grooms side. 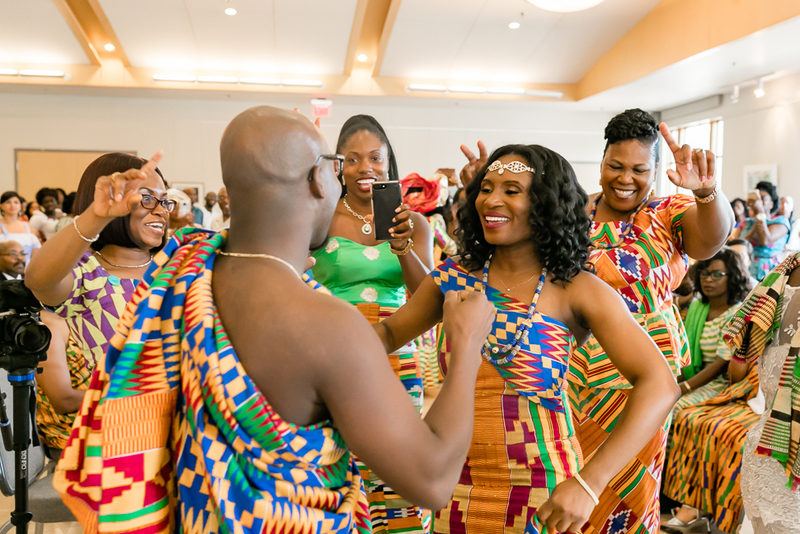 Once all terms are agreed upon from both bride and groom side for the dowery, the Ghanian marriage or traditional engagement takes place. 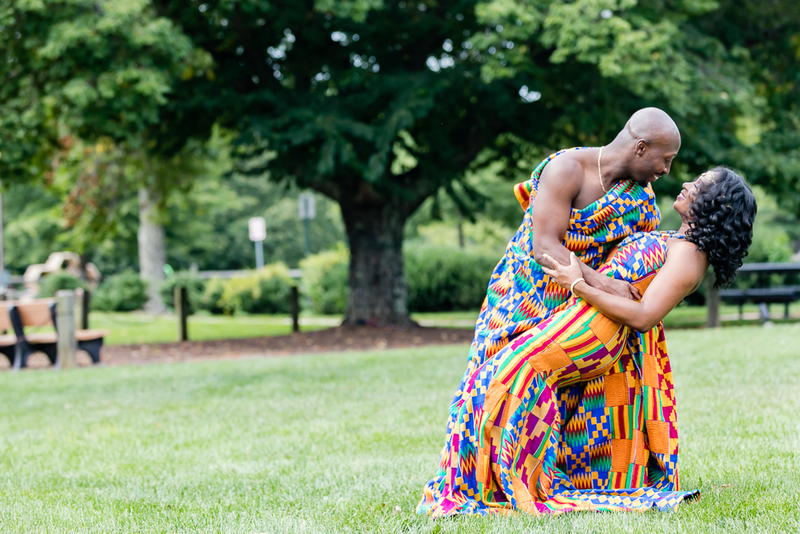 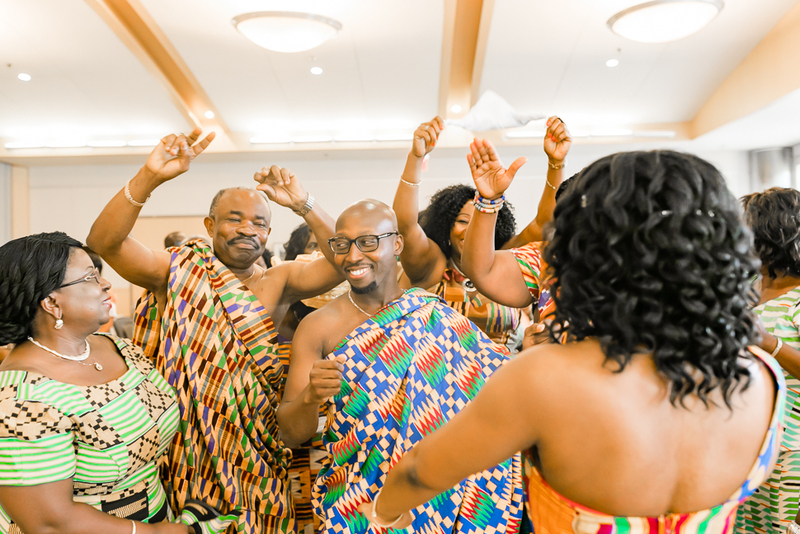 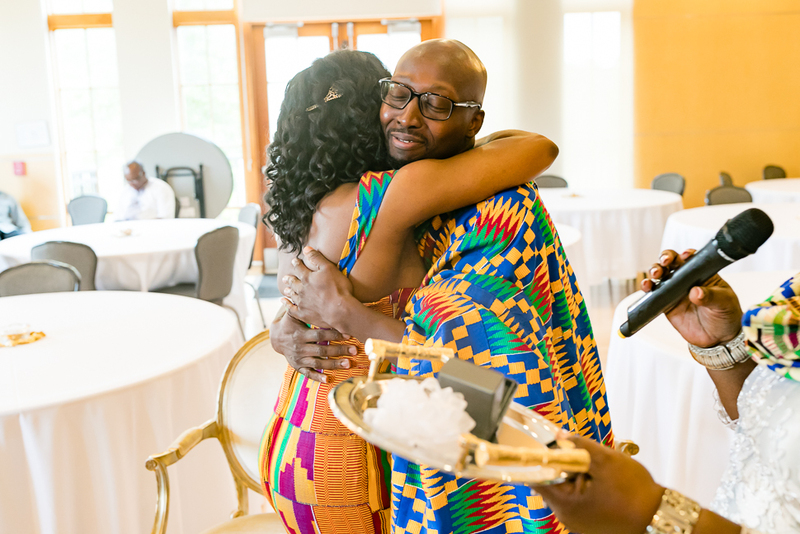 Check out the photos below from this DC Traditional Ghanaian Engagement.